I’ve been tagged by Rita Carla Francesca Monticelli. I’m ramping up for the release of The King’s Redress. It’s Book Three in the high fantasy series, The Bewildering Adventures of King Bewilliam. The official launch date is July 4, 2014. I’ll be signing books hot off the press at the Port Aransas Art Center during the First Friday reception. That will also be Independence Day and I’ll be pretending that all those fireworks are celebrating my newest book. Then it’s back to work on Dead Line, a contemporary thriller slated for a Winter 2014 release. The King Bewilliam series takes place in an imaginary time and place, has some mythical creatures and suggestions of magic, but it’s not a typical fantasy. There’s dragon-slaying and sword-swinging, but my readers tell me that the characters could be from the modern world. I confess, I planned it that way. The books in The Bewildering Adventures of King Bewilliam series have a once-upon-a-time quality but they address contemporary issues like post-traumatic stress disorder, divorce, career displacement, parent/child relationships, and the conflict between duty and personal ambition. I like reading about “ordinary” people who meet extraordinary challenges and rise to the occasion. In the process, they learn something about life, about themselves, and the experience is empowering. That’s also what I like to write. True, Robin, the hero of the King Bewilliam series, isn’t ordinary, he’s a monarch. However, he’s no superhero, he doesn’t have magical or supernatural abilities. He’s a mere mortal who has only his personal talents and intellect on which to rely. For much of the series Robin doesn’t even command royal powers or wealth and even when he finally does, they are of no help in solving the problems that he faces. 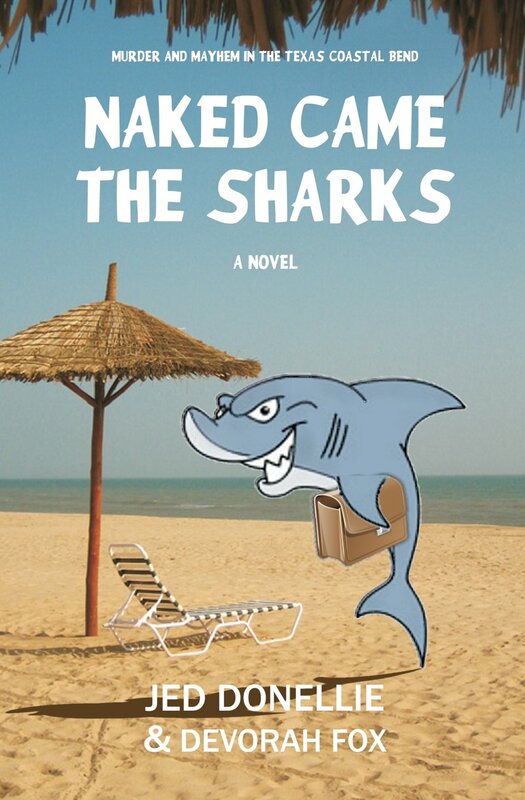 Similarly, in Naked Came the Sharks, the contemporary thriller that I co-authored with Jed Donellie, the heroine Holly Berry has no superpowers, wealth, or influence. She’s an “ordinary” young woman trying to advance her career. What she does have is a strong sense of what’s right, she’s tenacious about uncovering the truth, and that proves to be her strength. It starts with “what if …?” I’ll see a TV commercial, hear a news story, witness an interaction in the supermarket, and I find myself thinking, “what if what happens next is something like this …?” Before I know it, I’ve got an idea for a novel. So many stories, so little time. The King Bewilliam series was inspired by the very real dilemma of a friend whose personal and professional life completely cratered. I wanted to see if I could take the same situation and make it end happily-ever-after. This is proving to be harder than I imagined it would be, thus there are now three books in the series and I’m not sure that there won’t be more. The king’s life is indeed a bewildering adventure; he thinks he knows where he’s going, that he’s prepared for the opposition he’s likely to meet, but then he has to confront something totally out of the blue and he has to dig deep inside himself to persevere. It’s an experience many of us share which is why the stories resonate with a broad range of readers. They empathize with Robin’s struggles and are encouraged by his victories. Im general, I usually start a project with a dilemma and an idea of the character who’s presented with it. Most of my novels have been written in marathon mode. I participate in National Novel Writing Month and am challenged to write 50,000 words in 30 days. While I do some planning and outlining, once the marathon starts I’m writing as much as I can, as fast as I can. By the end of the marathon, I have what I like to think of as a robust outline. I spend the next couple of months fleshing it out, then tightening and polishing. So, these are my answers. Now it’s time to tag the other authors who will continue this blog hop on their blogs. Here they are. A writer for most of his life, Mike was a print journalist for many years, starting at weekly newspapers in Massachusetts and Maine, and then dailies, in Maine and New Jersey. He’s now an online journalist and an active freelance writer, handling assignments for news organizations and business groups. He also published The Resurrection of Leo, a collection of short stories, and just completed a novel, The Swamps of Jersey, which has been accepted for publication by Imzadi Publishing LLC. Find his blog at http://www.michaelstephendaigle.com/or contact him at michaelstephendaigle@hotmail.com. It took bullets whizzing by Jerry Dugan during Operation Iraqi Freedom to realize that life is too short for us to saunter through without a purpose. Through his blog, The Real Jerry Dugan, he writes about his experiences to live an intentional life as a husband and father while separating genuine manhood from the social caricature of manhood. Jerry Dugan was a 2013 TEDxCorpusChristi speaker on the topic of “Redefining Strength in Manhood”. His first eBook, Use Your Smartphone to Lose Weight, is more about helping readers discover their “Why?” in life and planning out what one wants to accomplish into a workable action plan. You can connect with Jerry on his blog at http://TheRealJerryDugan.com, or find him on Twitter, Facebook, and Amazon.com.